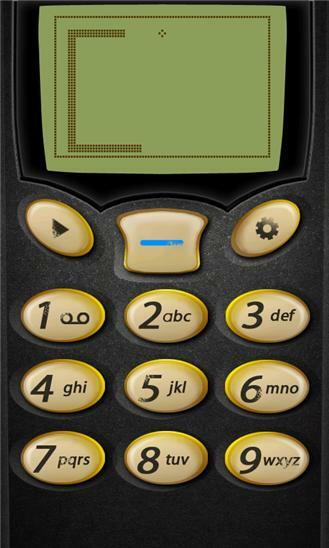 The original and famous Snake game comes to your phone now! Any feedback please email us, because we can’t reply on comments. Thanks very much for all your support in our games! Snake is a remake of the famous classic Nokia Snake game programmed in 1997 by Taneli Armanto, the design engineer in Nokia. This is a simple, addictive and funny game, with responsive direction control and hot global leaderboard. Two game modes are in this game. * Classic mode 11 levels here. Each level has its game speed and scoring rule. Training yourself by playing different levels and get a higher score! * Challenge mode The game starts with a low speed and will be increased after eating a block. Challenge yourself and get the champion honor! ***How to Play*** - Use the 1-9 buttons to control the snake. - Eat food blocks to be longer and get higher scores. - Try to avoid hitting snake’s tail and the walls around it. - Touch the “Start” button to start game and tap “Pause” button to pause it. - Go to setting page to change your game mode. If you like Nokia games, Angry Birds, Fruit Ninja, Doodle Jump, Battleship, Tetris, Bubble game, Gun Bros, Contract Killer, Brutal Chase, Pool, AE 3D Motor, AE Doodle Dash, Archer, Slot Machine and other addictive games, you shouldn’t miss this game! Get it now! ***What's new in V1.2*** - Fix the crash bugs and freeze bugs.